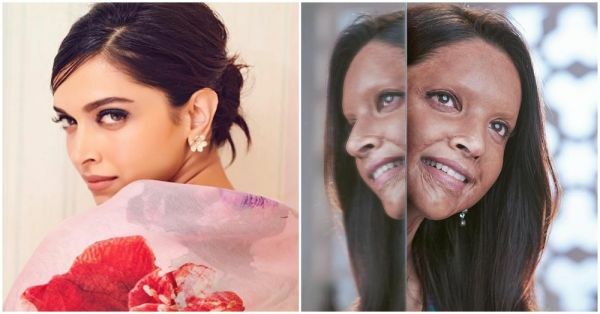 Chhapaak: Deepika Padukone's First Look As An Acid Attack Survivor Is Out! Deepika Padukone won us over with that hand wave in Om Shanti Om and the Bollywood actress has never stopped impressing us. She gets better with each role and captivates her audience with her convincing acting. Now, she's stepped into the shoes of acid attack survivor Laxmi Agarwal in a film titled Chhapaak. It is helmed by Meghna Gulzar and will mark Deepika's debut as a producer. Deepika shared her first look from the movie today and we're amazed. Deepika looks unrecognisable as Malti (name of her character). The sparkle in her eyes echoes determination and hope. The actress wrote on Instagram, "A character that will stay with me forever...#Malti Shoot begins today!#Chhapaak Releasing-10th January, 2020. @meghnagulzar @foxstarhindi @vikrantmassey87"
The biopic is based on the life of Laxmi who survived an acid attack at the age of 15. 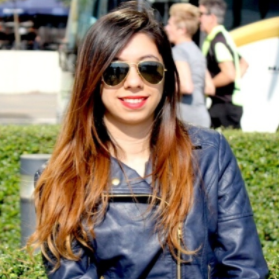 She was attacked by a man and his two friends because she refused to marry the former. Since the incident, she has been campaigning against acid violence and the sale of acid. She has founded an organisation, Stop Sale Acid, to achieve this goal. On being asked how she feels about Deepika playing her in the biopic, Laxmi said, "I am so happy that Deepika is playing the role. I have no right to judge her. How can I judge someone for something which I can’t do? She has played wonderful characters on screen and I believe she will give her best. I want to thank Deepika ji, Meghna ji and the entire team who will be working together on the film." Meghna Gulzar had recently revealed her experience of narrating the script of Chhapaak to Deepika, "It was a moment of serendipity when I asked for a meeting with Deepika. I had many conversations with myself that she just may not be interested in doing the kind of film that I was talking to her. And she wasn’t. She was looking to do something lighter after three intense films. But I didn’t have a light, romantic script for her. My film was based on acid violence. Of a woman who epitomised immense courage and strength, in the face of crippling adversity. It felt like a perfect fit. Deepika took on the film, the character, and me, in a heartbeat." The film also stars actor Vikrant Massey in a pivotal role and is slated to release on January 10, 2020.